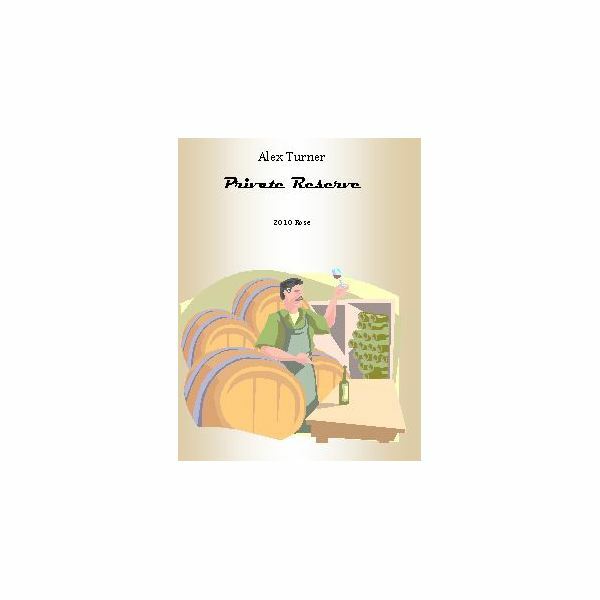 If you, like many people, enjoy home winemaking as a hobby, you can easily create your own custom wine bottles. Likewise, if you know a home vintner, you might wish to surprise him with some personalized wine labels. There are many other uses for homemade wine labels. If you are planning a wedding, save money by creating custom wine labels with which to decorate bottles. 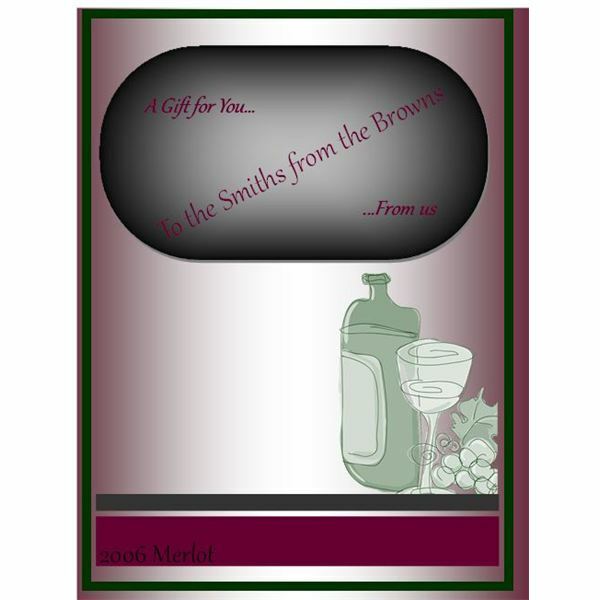 Make wine labels to place on store-bought bottles for holiday, anniversary or birthday gift giving. One of the easiest ways to do so is to use an MS Publisher template. Wine labels can be customized to suit any need you might have. Following are several free templates to download. Click on any image to enlarge it. Use this label to create a custom wine label for your own private reserve or to give to a winemaker you know. It features a two-tone taupe background and an image of a vintner sampling a glass of wine. The text box provides sample text over which you can type your name, your friend’s name or even a winery name as well as the wine’s vintage and type. You can easily change the template image to replace it with your own as well, should you choose. Simply right-click the clip art and select Change Picture. Find an image on your computer and replace the one on the template. With this MS Publisher template, wine labels print four to a page. Surprise your wife, your parents or your friends with a special bottle of wine to celebrate an anniversary. This charming wine label features a pair of Victorian children in a heart-shaped cutout with scrolling fonts and sweet-faced pansies. 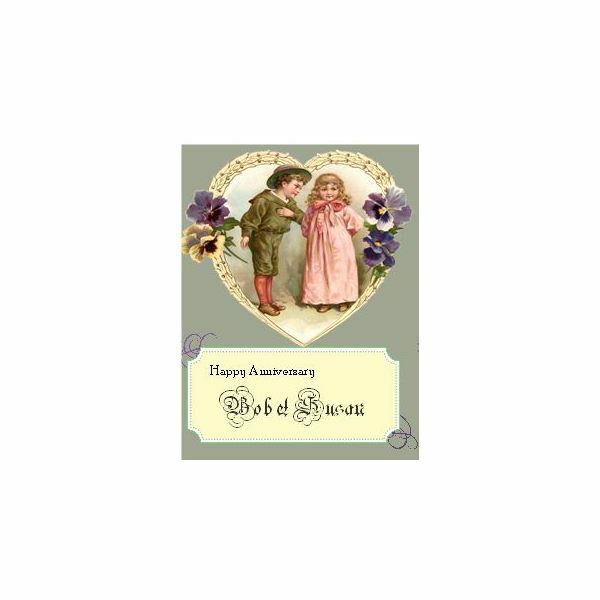 While the sample text on the label states "Happy anniversary" and a place for the names of the celebrating pair, you can customize it with the name and vintage of your wine instead, if you prefer. With this MS Publisher template, wine labels print four to a page. Raise a toast to the newly wedded couple with glasses of wine poured from bottles with custom, celebratory labels. 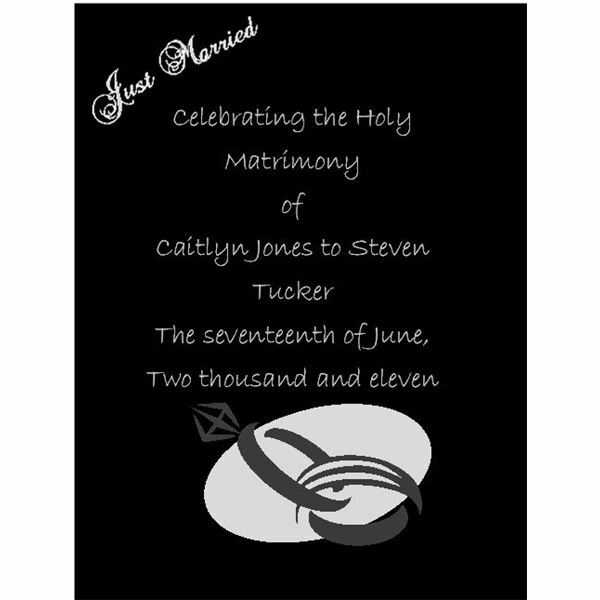 This elegant wine label template is created in shades of black, white and gray with a scrolling "Just Married" in the upper left corner, a simply, stately graphic of joined wedding bands and a text box into which you can type the names of the bride and groom along with the date of their wedding. A nice bottle of wine sporting one of these labels would make for a delightful wedding gift, as well. With this MS Publisher template, wine labels print four to a page. This template is ideal for any gift giving occasion. Customize the label to add your recipient’s name and your own in the "From" and "To" sections. You can change the type of wine and add a vintage or brand name as well, if you choose. The template features a burgandy, green and gray color scheme, but you can quickly change the hues by selecting another color scheme in Publisher. With this MS Publisher template, wine labels print four to a page.